Product categories of Art & Craft Paint, we are specialized manufacturers from China, Art & Craft Paint, Acrylic Paint Sets For Children suppliers/factory, wholesale high-quality products of Waterproof Spray Craft Art Paint R & D and manufacturing, we have the perfect after-sales service and technical support. Look forward to your cooperation! TR Industies endeavours to assimilate art into our daily life. 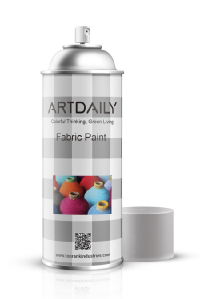 Enenvironmental & safe aerosols and coatings to help everybody enjoy creative moments, such as Fabric Paint,Upholstery Paint,Wood Spray Paint,Graffiti Spray etc,can art/renew on fabrics, leatherware, metalware, ceramics etc.